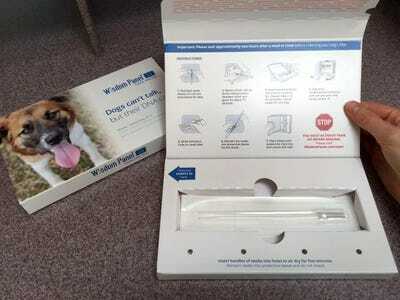 The board of luxury New York City apartment complex raised paws last year when it started requiring residents to test the DNA of their dogs before granting them permission to reside there. 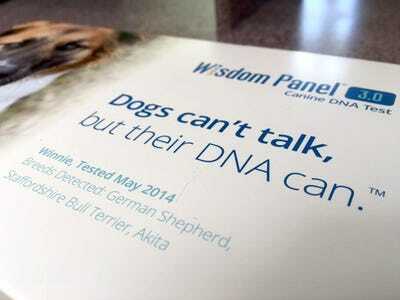 Beyond their behaviour, dog DNA tests claim they can tell you everything from how big a young dog will get, to whether it will be good with kids or other pets. 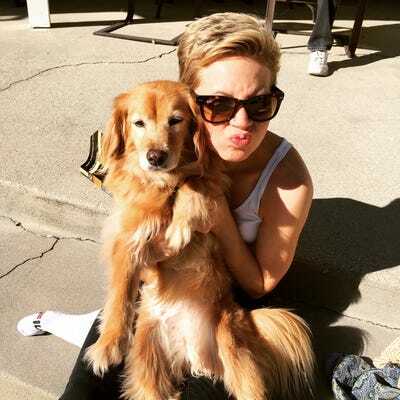 This is Izzie. 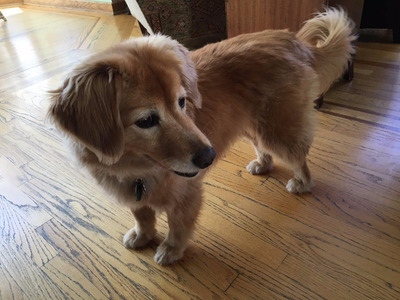 When I adopted her over a decade ago, I was told she was a mixed-breed Golden Retriever. She was only a year old, so no one knew how big she'd get (most Goldens reach their full size, about 60 lbs, around age 2) or how she'd behave in a house where she was the only pet. Our veterinarian told us she looked like a Golden, so it was safe to say she was some kind of (smallish) Golden Retriever mutt. Despite our worries, she stayed roughly the same size. And we stayed curious about her heritage. She's now 14 years old, and she's friendly and loyal. 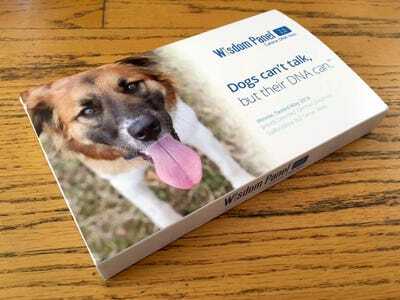 Most people get dog DNA tests so they can find out what kind of behavioural traits to expect: Golden Retrievers tend to be loyal and good with kids, for example, while Dalmatians are super active and generally make good guard dogs. When I got the chance to test her DNA, I seized it. 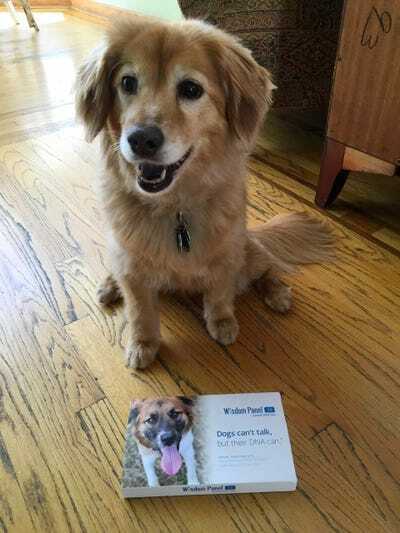 There were several options to choose from, but I picked the Wisdom Panel DNA test developed by MARS Veterinary, the world's largest pet healthcare provider. At $84.99, the kit wasn't cheap. 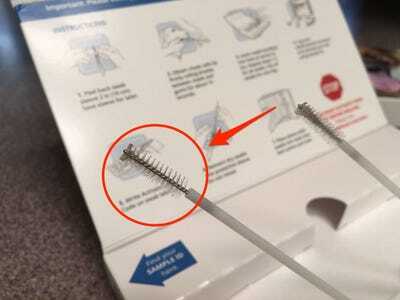 Inside, I found two cheek swabs along with a set of simple directions. 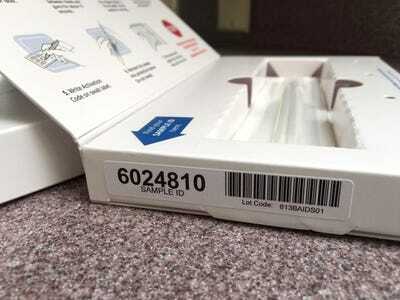 The side of the box was labelled with a Sample ID so that I could register her test online. 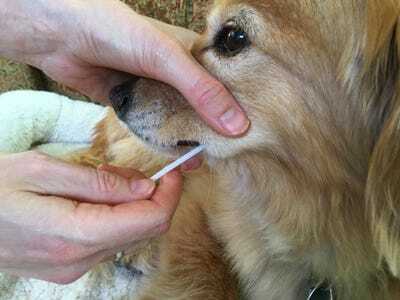 Getting dog DNA samples is a lot like getting human DNA samples -- you firmly twirl it along the inside of each cheek for 15 seconds, and then repeat with the second swab. Izzie wasn't a huge fan of the process. But my dad (in the background) got a kick out of watching us. Once I got Izzie's samples, I stuck the swabs into the holes in the package and let them dry, as instructed, for 5 minutes. There's tons of microscopic Izzie DNA on there! 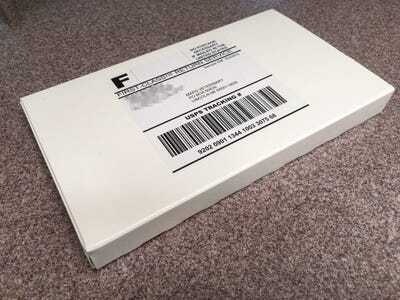 Once the swabs were dry, I resealed them, packed them back up, and popped it in the mail. 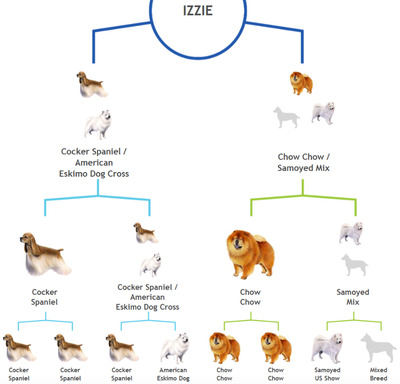 Once it got to Wisdom Panel's lab, Izzie's DNA would be scanned and analysed in a database of 250 dog breeds for 1,800 different 'markers,' or places in Izzie's DNA where there are signature variations, which can be used to determine what breeds she's most likely made up of. The test also looks for coyote and grey wolf markers. 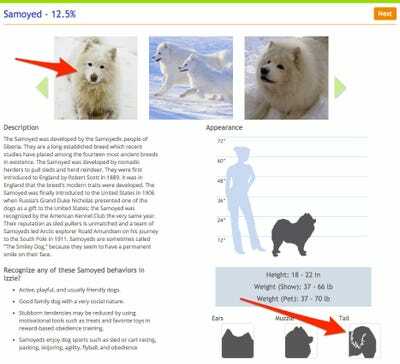 Coyotes, wolves, and domestic dogs can interbreed (they're all members of the same species, Canis) but they belong to distinct subspecies. Before I get to the results, I want you to guess: What do you think Izzie is? While she doesn't look like a Cocker Spaniel, her personality certainly fits. 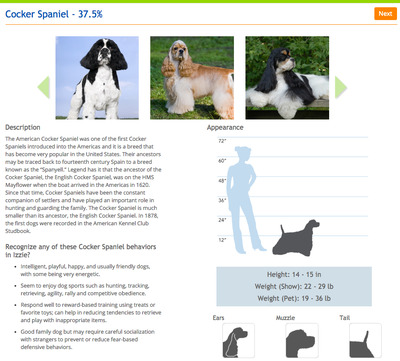 Cockers are known for being members an active 'sporting breed.' 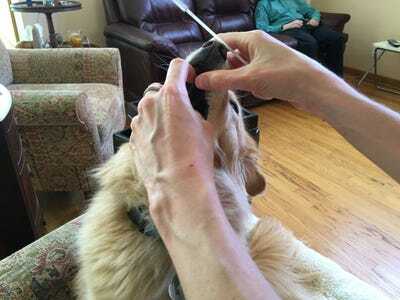 They thrive on daily exercise, and they're intelligent, gentle, and do well as part of a family. 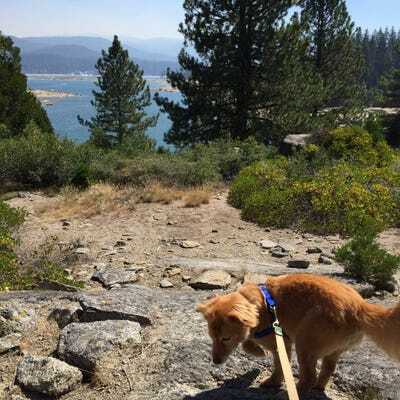 No coyote or wolf DNA for Izzie! That's a lot of breeds! 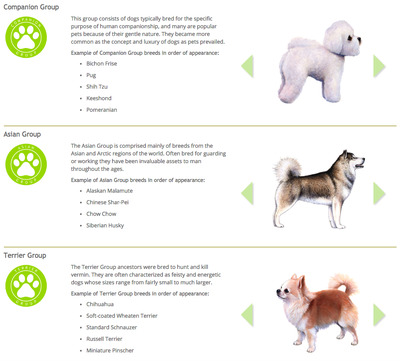 Still, it's important to keep in mind that the difference among breeds is unusual as far as mammals go. All dogs are still a member of a single species -- Canis lupus familiaris, aka the domestic dog. 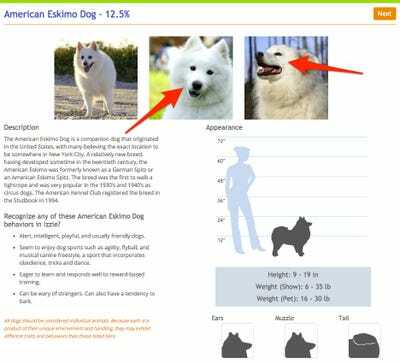 But thanks to having been bred for so many years for specific characteristics by people, they have some pretty big visual differences. 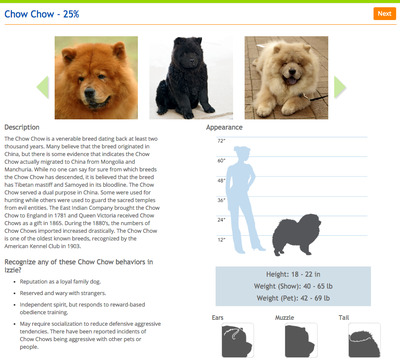 And Izzie, with her mix of Cocker Spaniel, Chow Chow, American Eskimo, and Samoyed traits, is certainly unique! She's loyal and friendly, but wary of strangers. 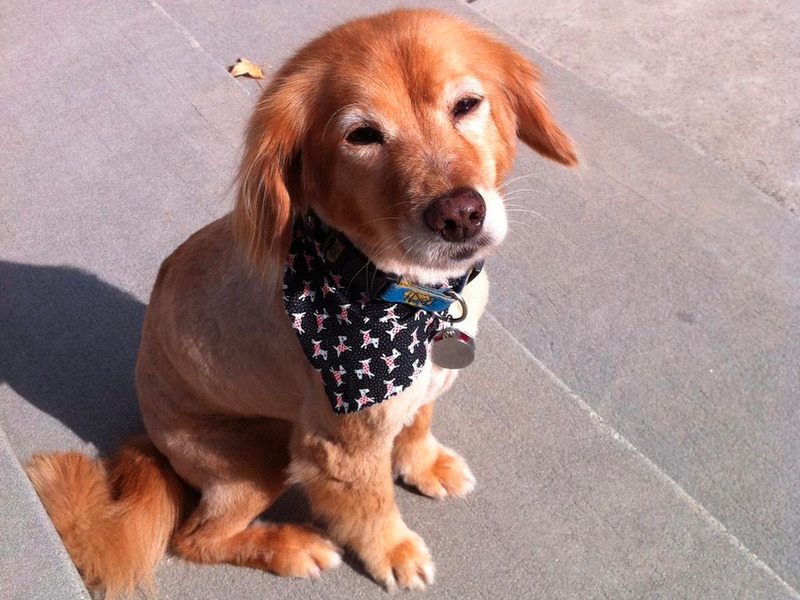 She's small in stature but big in personality, and she is gentle and loving, despite her occasional bark.